QUAKERTOWN, PA - June 8, 2010 - WastewaterPR.com - Penn Stainless Products, through its new Specialty Pipe and Tube Division, now offers nonstandard welded tubular items in Stainless, Duplex, Nickel, 6-Moly and Chrome Moly materials, in both light gauge and heavy wall thicknesses. Penn Stainless Products, through its new Specialty Pipe and Tube Division, now offers nonstandard welded tubular items in Stainless, Duplex, Nickel, 6-Moly and Chrome Moly materials, in both light gauge and heavy wall thicknesses. Penn Stainless maintains an extensive inventory of plate and sheet materials to reduce lead times and manufacturing costs. 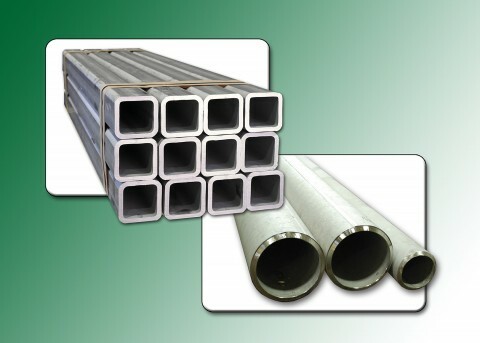 In addition to production capabilities for non-standard items, Penn Stainless offers tubular items off-the-shelf in both seamless and welded product. Welded pipe and tube products from Penn Stainless are available in a wide variety of grades and ASTM specifications. Made-to-order OD sizes range from 1/8" through 96" diameter, while stock sizes range from 1/8" through 24" diameter. Available in lengths up to 42’, Penn Stainless pipe and tube can be specified with wall thicknesses from .008" through 3" thick, and square and rectangular sections through 24" can be manufactured.